Around this time of year, we tend to get a little adventurous with our makeup. Whether that’s breaking out a red eyeshadow you’ve never tried before, rocking some green underliner or sprinkling glitter just below your perfectly brushed arches, ‘tis the season for experimentation. It’s good timing, then, that the latest eye makeup craze is a bit of a risk. We’re talking about orange eye makeup. While it may be a color you’d never imagine sporting IRL, all you have to do is look to Selena Gomez, Gigi Hadid and the runways for encouragement. Selena went monochromatic for a premiere by favoring tangerine shadow extended out past her eyes that tied right in with her marigold dress and dangly earrings. Gigi went with a more low-key apricot shade, but the result was equally eye-catching. The Fall 2017 and Spring 2018 runways featured plenty of orange eye makeup looks for us to crush on. Orange is surprisingly flattering on all skin tones, just try to keep your eyes the focus by going easy on any highlighter, lip color or blush. Above, check out 17 examples of how to go orange, just in time for holiday party season. 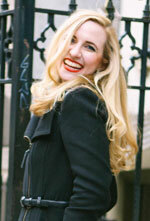 Beth Stebner is a freelance writer and editor and regular contributor at theFashionSpot. She’s written for NYMag.com, NBC News, Flavorwire, Hello Giggles and, most recently, the New York Daily News, where she served as Senior Lifestyle Editor and truly learned the art of the pun. When she’s not traveling the world or glued to her Instagram feed (or both! ), you can find her at one of New York’s latest fitness classes, concerts, coffee shops or makeup counters. Follow her on Twitter , Instagram and Facebook.